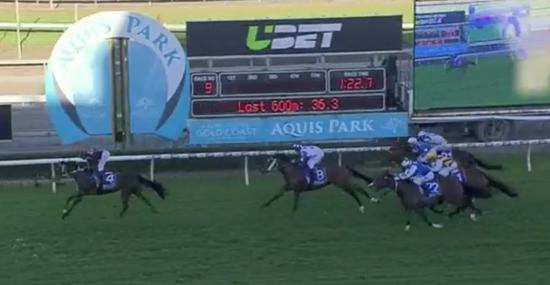 Junction showed his last start failure at the Sunshine Coast was just an anomaly when bouncing back to form behind smart galloper Saxton Rock at the Gold Coast on Saturday. The 4yo son of Real Saga notched up his third placing from four starts this time in and looks ready to break through for his second career win soon. The gelding was an impressive winner on debut back in January 2017 before running fifth in the Listed Inglis Classic race at Randwick a few weeks later. After a few set backs in the Winter/Spring of 2017 Junction finally returned to the races almost 16 months later when an encouraging third at the Gold Coast. Now, four runs in to his preparation off the long spell Junction looks ready to return to the winners stall for our Qld trainers Bryan and Daniel Guy.